I have found these resources helpful while teaching my daughters the Bible. Many of these I have used both at home and when teaching children in the local Church. 1. 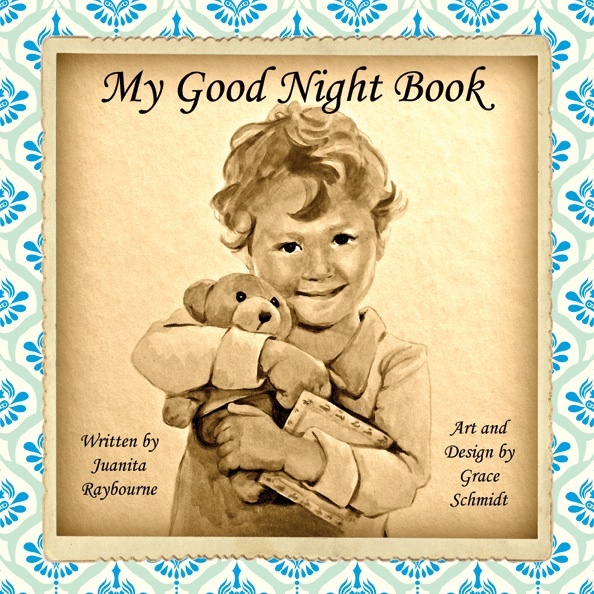 "My Goodnight Book", written by Juanita Raybourne and illustrated by Grace Schmidt. What I like: This is a sweet gentle book to read at bedtime. I always love reading with my girls the Bible verses throughout the book as we prepare for bedtime. 2. 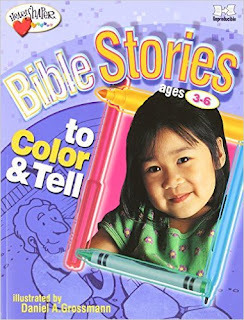 "Bible Stories To Color and Tell, ages 3-6", by HeartShaper Resources. What I like: I really like the activity pages, which are a variety of things such as puppets, story bags, puzzles, story wheels, etc. 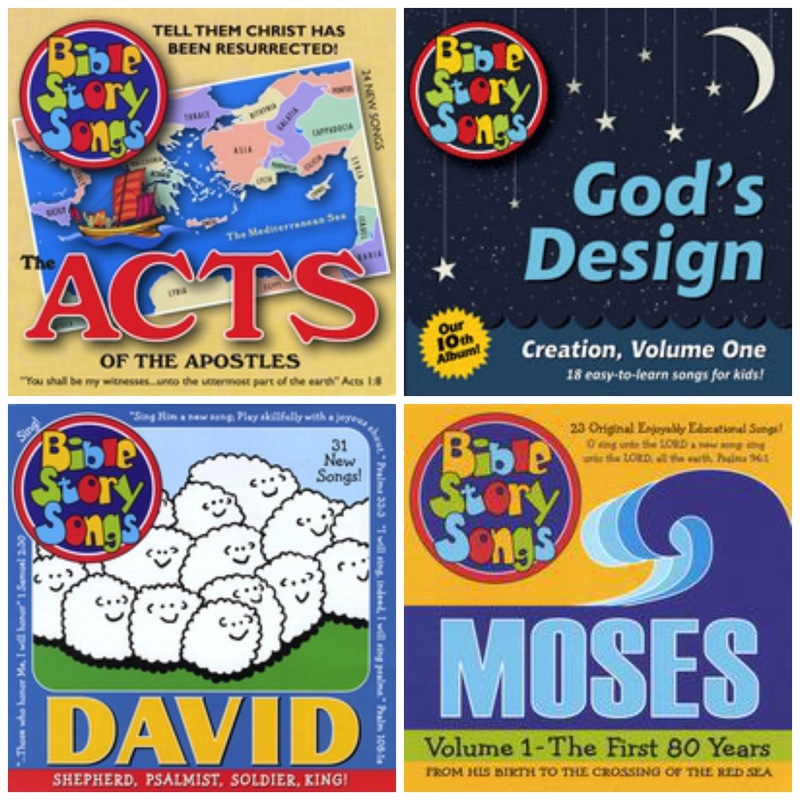 These activity pages are specifically designed to help the kids to retell the Bible record. This is a great way to help them remember what they have learned. And also get comfortable sharing the Bible with other people. Also, this book has coloring pages. When my favorite coloring book doesn't have a picture I'm looking for, I sometimes find it in this book. 3. 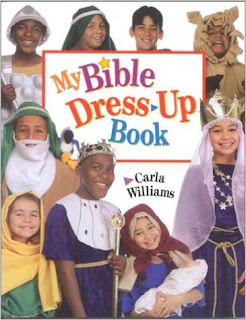 "My Bible Dress-Up Book", by Carla Williams. What I like: My kids love acting out Bible records. 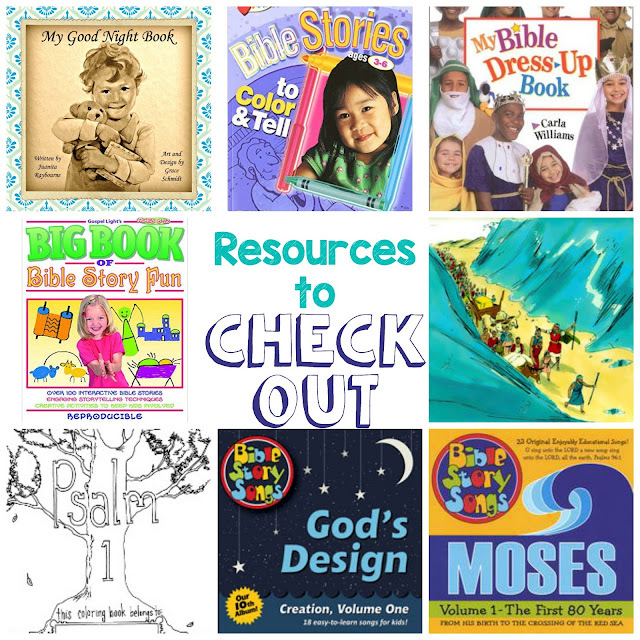 This book makes making Bible time clothes very accessible, including no-sew options. The instructions are actually written to a child instead of an adult. I use this for ideas in making Biblical costumes, and skip the skit scripts. Instead we read directly from the Bible records. 4. 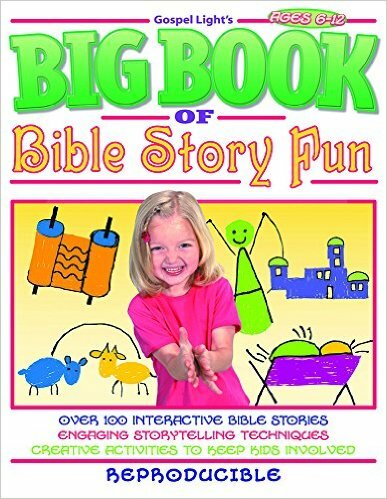 "The Big Book Of Bible Story Fun", by Gospel Light. 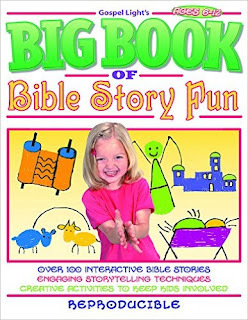 What I like: This book has ideas for telling Bible records using either, sign language, drawing sketches, or sculpting play dough. It is geared to children 6 to 12 years-old, but I have used the ideas and simplified them for children 3 to 5 years-old. I teach from the Bible verses instead of using the books scripts to "tell the story". These three ideas (sign language, drawing, and dough sculpting) really help to add movement and visuals, which help children to learn. 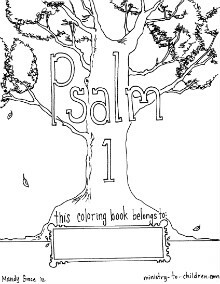 What I like: This website has a wealth of free Bible images. The website has both illustrations of Bible records and photographs of people acting out Bible records. I've used the illustrations more often than the pictures. I used them as a slide show on iPad, scrolling through as we read a Bible record. I've found the easiest way to navigate the site to be clicking on the "Book" tab, and then clicking on the book in the Bible I am looking for. What I like: This recommendation comes with a big caveat that I am just starting to explore these CD's. And they have 14 CD's, which is a lot to explore. I recommend that you consider each song according to the accuracy of God's Word. That being said, I found songs that have a lot of Biblical truths packed in them. 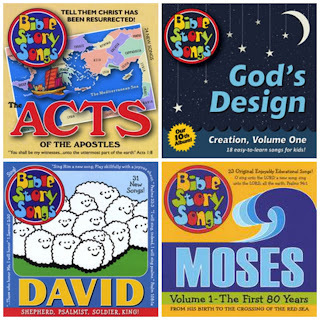 I have been listening to them at Bible StorySongs on Spotify, where you can find all the CD's. I plan on buying some of the CD's. 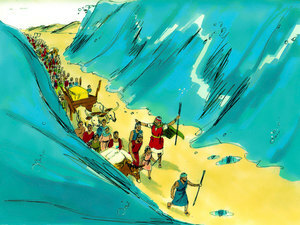 My family has been learning about Moses, and we have enjoyed listening through the Moses recording as we go about family life, talking and reviewing what we have learned.